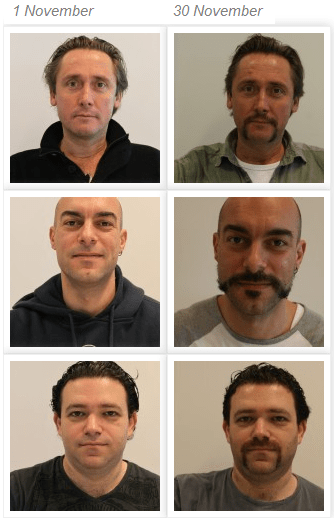 Strange looks, hilarious comments and itchy faces – that’s what our male colleagues at Aleblli had to endure for the entire month of November. But it was definitely worth it as it was all for a good cause! For a whole month these tough men have endured letting their moustache grow to raise awareness and funds for men’s health issues. This brought in a total amount of € 7,758: the proceeds of which is to be donated for the improvement of men’s health worldwide. And as you can see, we’re the company with the largest contribution! “This just goes to show how a small business can be great,” responded our Benelux manager with pride. Each week we monitored the growth of each moustache. It was difficult to see growth for some while the others grew so fast, they took on a life of their own! View the mug shots below to see for yourself. No doubt, with all these moustaches floating about, it’s been quite an unusual month at Aleblli. Despite all the teasing and hardship, they persevered until the end so hats off to the guys, we could not be more proud of them!